In ‘Herbert Spencer and the Law of General Evolution’. Spencer Lecture, Oxford, 1963: reprinted in Medawar, P. B. (1967). The Art of the Soluble. Methuen, London. pp. 37-58. In The Art of the Soluble, 1967. It is written in an all but totally unintelligible style, and this is construed as prima-facie evidence of profundity. If a person a) is poorly, b) receives treatment intended to make him better, and c) gets better, no power of reasoning known to medical science can convince him that it may not have been the treatment that restored his health. 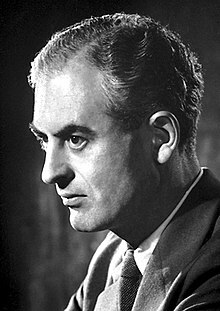 It just so happens that during the 1950s, the first great age of molecular biology, the English Schools of Oxford and particularly of Cambridge produced more than a score of graduates of quite outstanding ability —much more brilliant, inventive, articulate and dialectically skilful than most young scientists; right up in the Watson class. But Watson had one towering advantage over all of them: in addition to being extremely clever he had something important to be clever about. This is an advantage which scientists enjoy over most other people engaged in intellectual pursuits, and they enjoy it at all levels of capability. To be a first-rate scientist it is not necessary (and certainly not sufficient) to be extremely clever, anyhow in a pyrotechnic sense. One of the great social revolutions brought about by scientific research has been the democratization of learning. Anyone who combines strong common sense with an ordinary degree of imaginativeness can become a creative scientist, and a happy one besides, in so far as happiness depends upon being able to develop to the limit of one's abilities. Only human beings guide their behaviour by a knowledge of what happened before they were born and a preconception of what may happen after they are dead; thus only humans find their way by a light that illuminates more than the patch of ground they stand on. p. 25, footnote to previous quotation. Observation is the generative act in scientific discovery. For all its aberrations, the evidence of the senses is essentially to be relied upon—provided we observe nature as a child does, without prejudices and preconceptions, but with that clear and candid vision which adults lose and scientists must strive to regain. The Limits of Science. (New York: Harper & Row, 1984) p. 98. P. B. Medawar (1986), Memoir of a thinking radish: an autobiography, Oxford University Press, p. 117. This page was last edited on 6 April 2019, at 14:57.